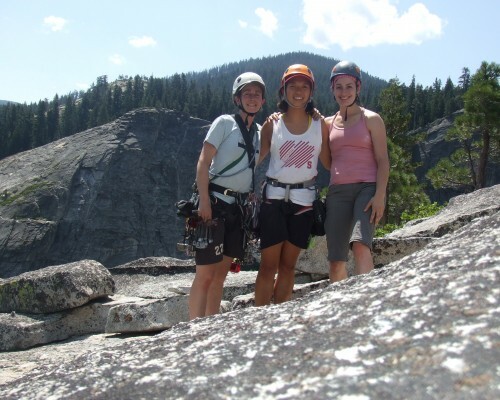 SheClimbs was started in January of 1995 as a group of 25 women in Portland, Oregon who wanted to have the opportunity to climb with other women. It grew over the next decade into an organization with many chapters all over the US. The Bay Area Chapter of SheClimbs was started by Stacey Collver in 2000. She based the group out of Twisters Gym in Mountain View and vigorously started recruiting women from there and other gyms. Tori Winters has managed the chapter's web presence from the beginning, overseeing its growth from a small email list to a dedicated domain and web space. Although the national umbrella organization (and all of its other local chapters, as far as we can tell) folded around 2007 or so, the Bay Area chapter continued on as an independent organization. 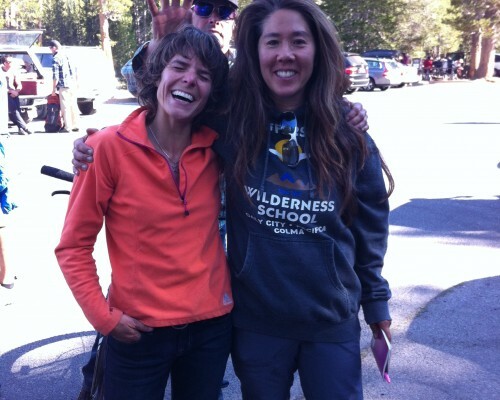 In 2013 we joined forces with a new Meetup group for local female climbers that was started by Emily Aygun. In just two years the group grew to nearly 500 members under Emily’s leadership. 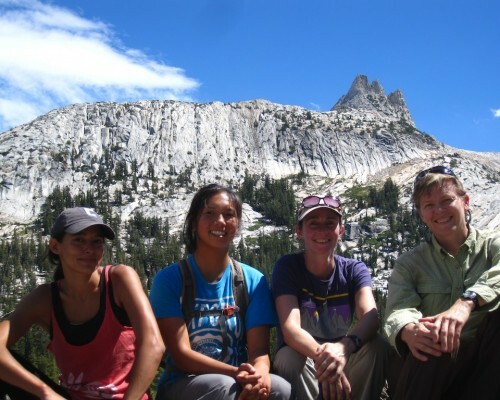 Emily stepped down in 2015, passing the reins on to her co-organizer, Nicole Belle Isle, who continues to manage SheClimbs Bay Area with guidance from Stacey and website maintenance by Tori. All of us are excited about the latest incarnation of the organization and look forward to many more fun, educational, and inspirational outings. SheClimbs is for women of all climbing abilities, from those who have just taken up the sport, to those with 20 or more years of experience. We believe that developing climbing skills can inspire strength and confidence that spill over into other aspects of life. New members must bring with them a basic level of knowledge about climbing and safety, as this is not a certified or insured instructional or guiding service. We do draw on each other's skills, and encourage mentoring of less experienced climbers, but we do not provide formal classes. If you need to learn the basics, we will be happy to refer you to a qualified instructor. We climb together, encourage and learn from one another, organize social events, and participate in service-oriented functions such as crag clean-ups. 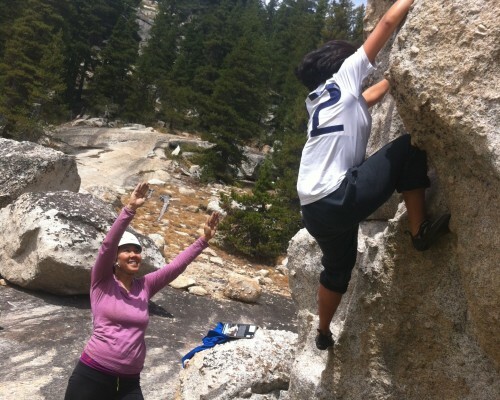 Our Objective is to get Bay Area women climbers together to motivate each other, create climbing friendships and have fun! Beginners to advanced climbers, all have something to offer to the group. 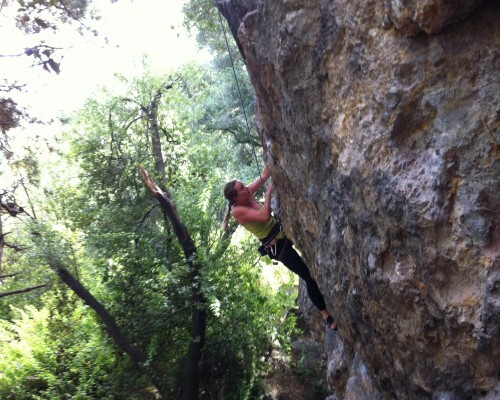 Mission Statement SheClimbs is a grassroots non-profit organization dedicated to promoting a strong female presence in the Bay Area climbing community. 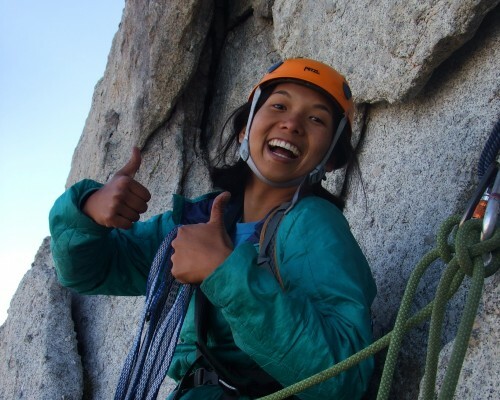 We support active, self-reliant participation of women and girls in the sport of climbing and encourage a spirit of volunteerism, mentoring, and environmental responsibility. 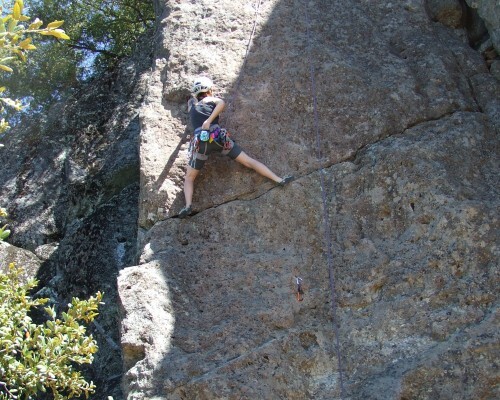 Our Objective is to get Bay Area women climbers together to motivate each other, create climbing friendships and have fun! Beginners to advanced climbers, all have something to offer to the group. Group communications are currently handled through the SheClimbs Bay Area Meetup group, however you can still find archived messages at the old SheClimbs-BayArea Yahoo group .